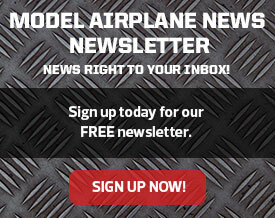 Setting up the gear doors on the P-51 for the first time isn’t that difficult assuming you are given some ground rules. 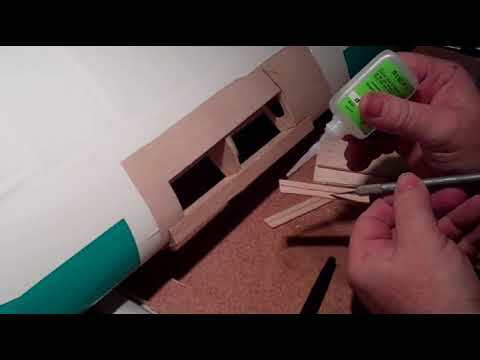 I’ve been building for many years, but never set one up with the scale features as on the CARF P-51. 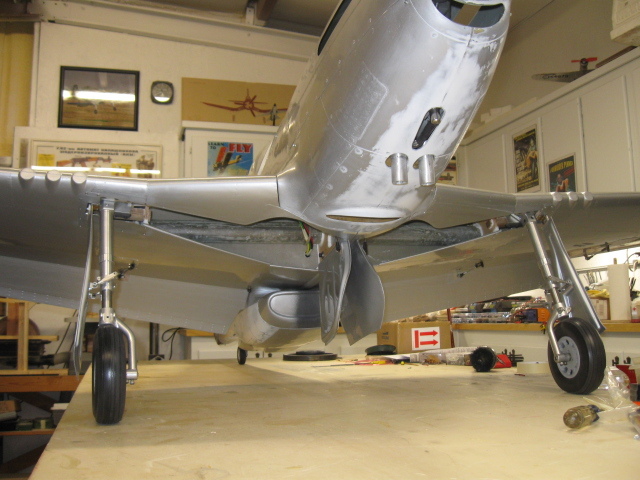 The P-51 has outer doors attached to the retract struts and inner gear doors that articulate open/closed in a sequence with the retracts. Of course, a special retract air valve (Ultra Precision 2) is needed to control all this action (installation should be similar using electric retract system as well). All these functions operating together can be quite intimidating to think about the first time you are going to take it on. 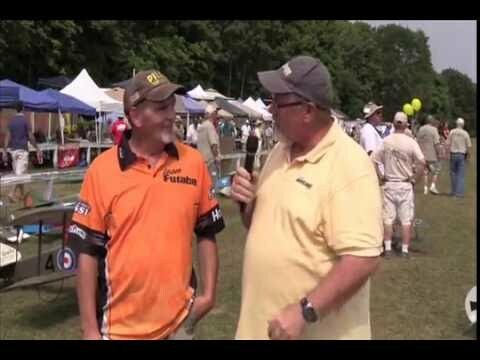 I felt the same way as just described when I bought the CARF P-51, and this was the part I was least interested in building up. Lucky for me, a fellow RC Club member, Jack H, loaned me his CARF P-51 wing-half for me to look over and use as a work guide. He also had some basic words for the proper installation of the outer doors that I somehow failed to put into practice the first time thru. Only after Jack looked at my work did he tell me I failed to listen to his instructions! Well, I was glad to hear what I did wrong, and got it right the second time around. Failing to do this will mean you will get a close fit of the outer door, but it will never be EXACTLY right! By this I mean the other end of the door will be off by some small margin, one direction or the other. Try as you will, it won’t go up/down with the retract as it should unless you get that hinge down correctly. Jack felt it necessary to abandon the CARF method of installing the outer doors and used some of his own ideas instead. After looking at the factory setup, I was in agreement with Jack and followed his lead. He used a small hinge from the hardware store which made the whole outer door hinging a lot easier. 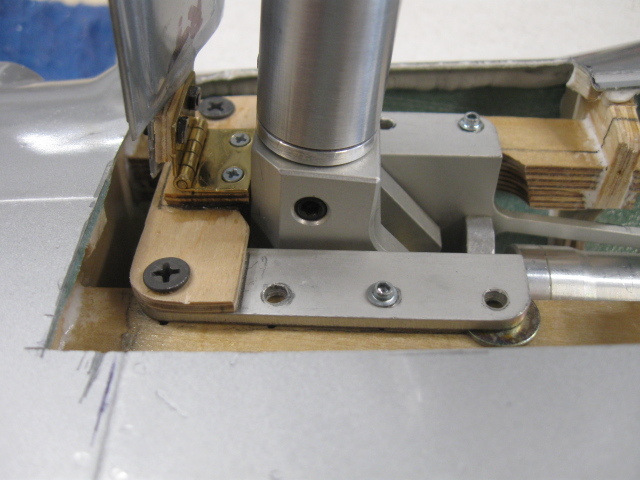 The first photos below describe how the small brass hinge is set in place against the base of the retract. 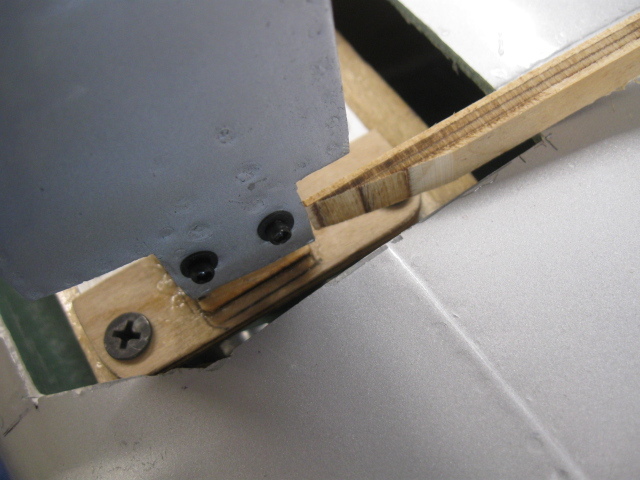 Longer shot of the outer door hinge in place against the strut base, thus parallel and in same plane, by default. Tight shot of the outer door hinge during preliminary assembly. 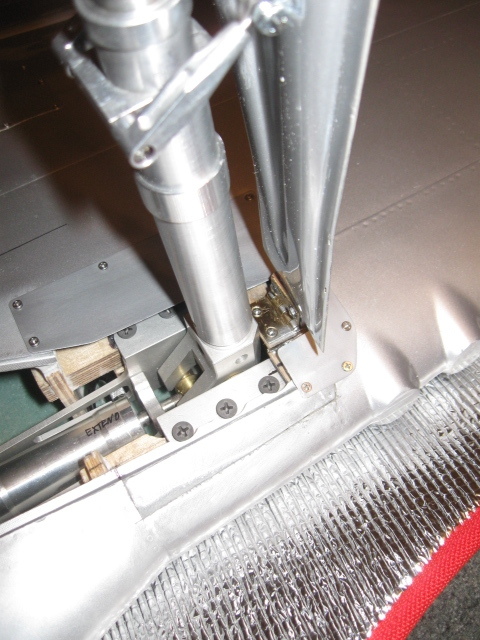 By butting the brass hinge up to the base of the retract, you can be assured of being parallel and in same plane as the axis pin for the retract. 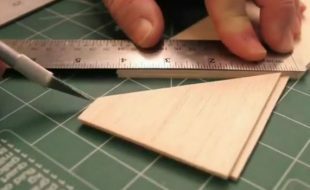 The smaller plywood piece under the hinge is a height adjustment for the door to be level with the bottom of the wing. The larger plywood cross piece serves as a mount for the hinge as there is nothing there to begin with. Also note the plywood “wedge” under the upper half of the hinge to offset the door with the slope of the wing toward the leading edge. Note the wide cutout around the retract base. This area is closed off with lithoplate sheet later. Above two images: View of the wedge construction to offset the door to the slope of the wing at the leading edge. Piece is trimmed off after installing. 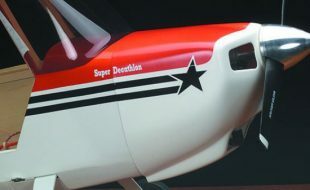 To replace the cut-out composite parts and still permit access, thin lithoplate sheet is used and held in place with small sheet metal screws. Then painted. 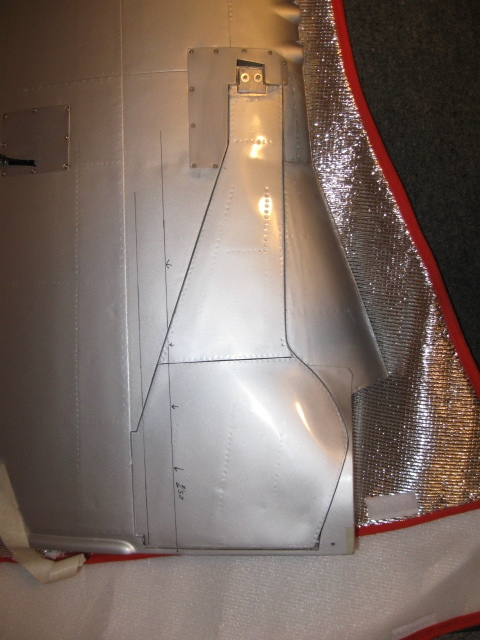 A small portion of the cut-out composite wing was re-glued at the leading edge. In the middle of the door, you must add a turnbuckle attach bracket to pull the outer door up/down with the retract. I made this out of some steel sheet metal from the scrap box. Don’t use aluminum or brass – too weak. It is fairly obvious where it mounts, but you will likely have some trial and error getting it positioned correctly – hinge must be installed first. This is Sierra gear made especially for the CARF P-51 which is very scale in appearance. The turnbuckles are on the strut collar and they attach to the outer gear door to make it follow the strut as it extends and retracts. The outer door needs some plywood to attach the steel bracket to as the composite door is too thin to support any screws. Fine tuning this set of turnbuckles is done after door is in place. It should be fairly close to a perfect fit or you are off at some point in your hinge install. 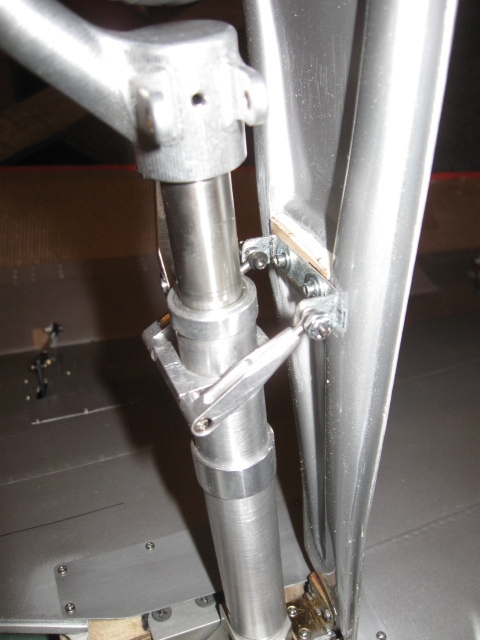 When properly setup, the collar holding the turnbuckles should be square to the door as shown here. If you are forced to skew it around to make the door fit the opening when the gear is retracted, then your hinge is likely installed wrong. Here’s how the outer door should look in retracted position, after the door is properly hinged. Lithoplate around gear base is painted to match the wing color. 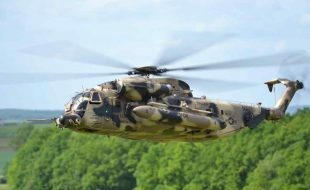 Next to discuss is the inner gear door sometimes called the clamshell door. This door opens AND closes on every gear cycle so it gets a lot of use. It must be installed with absolutely no binding. 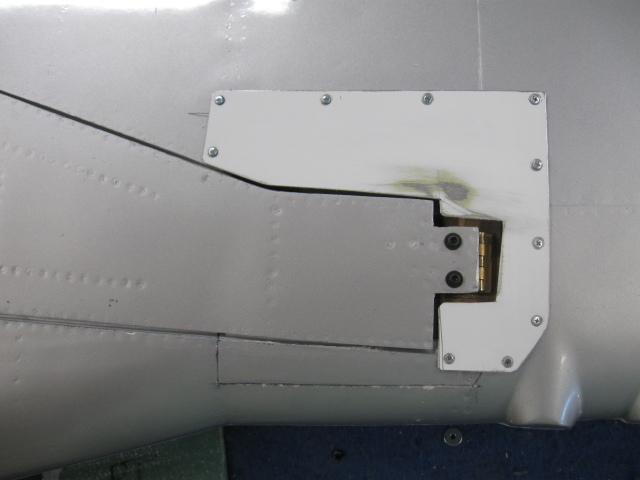 On the CARF P-51, the hinge is factory installed. However, on mine, the hinge on one wing-half was deformed at the factory and I had to take it apart and reglue to make it correct. 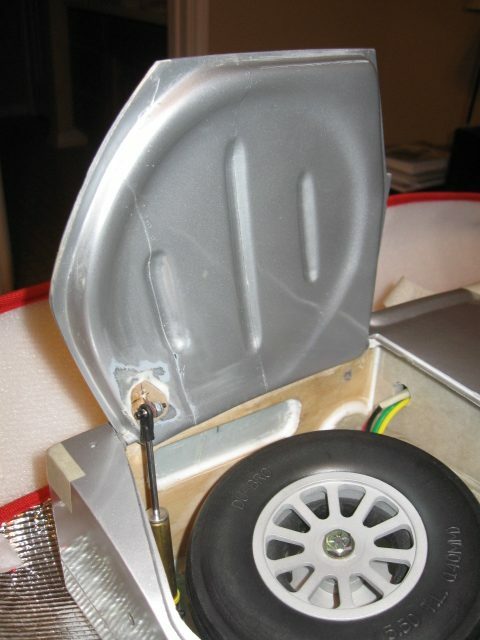 The air cylinder has to be installed inside the wheel well to open/close the door on each cycle. It must be mounted/epoxied securely at the base as well as on the door itself. There are two places to mount the cylinder – on either side of the tire. I chose to mount the cylinder at the leading edge of the door to put as much pressure on the door at the forward edge. This is where the air pressure will try hardest to lift it open when closed. But keep in mind, the scale location is to the aft of the tire. 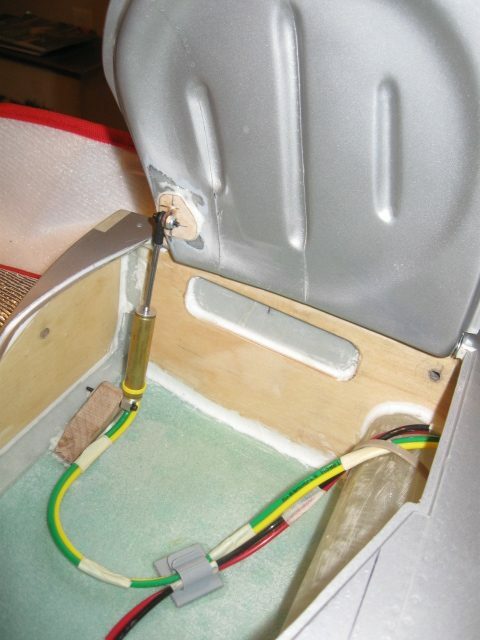 A tight shot of the inner door showing little room to install the air cylinder. 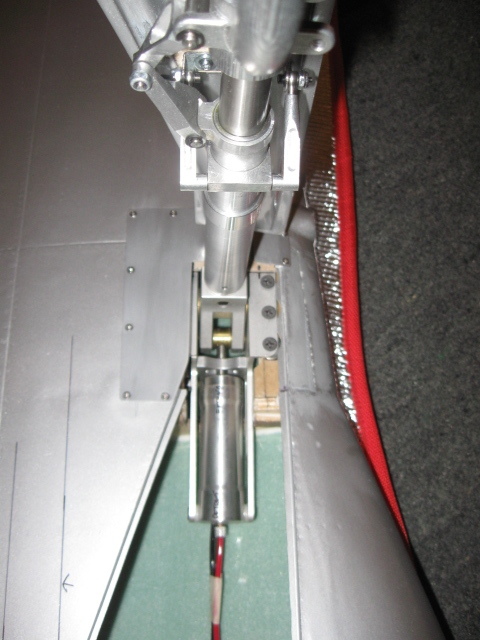 Gauging the placement of the air cylinder. Trial and error here. 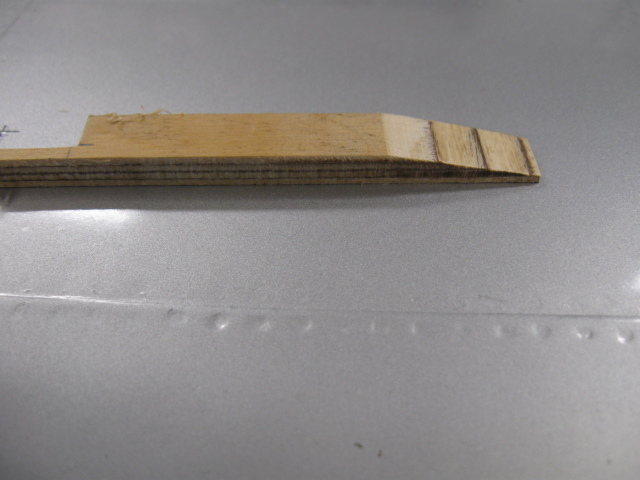 The long hardwood block is to spread the load over more area on the wing skin. There is only so much travel a cylinder will give, so, you must play with the fitment to get the most opening and still close the door completely. Not a 5 minute task. Placement of the control horn is important as well. This is the Ultra Precision 7/16” by 1.5” cylinder with 4-40 shaft. Color-coded air lines are by Dream Works. Here is the P-51 on the gear, but still in need of a paint scheme. Of course, the inner doors remain closed if air pressure is present, using the Ultra Precision 2 air control valve. 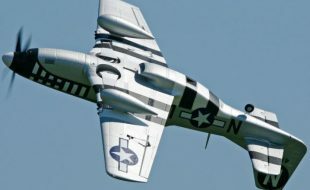 But, between flights, it looks cool to bleed the air off the tank and drop them down as on the full-scale P-51 when parked. 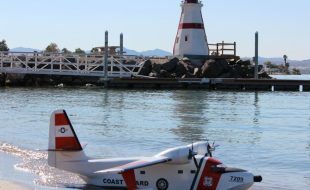 Once you have done the scale doors successfully, you won’t have near the trouble the next time out. 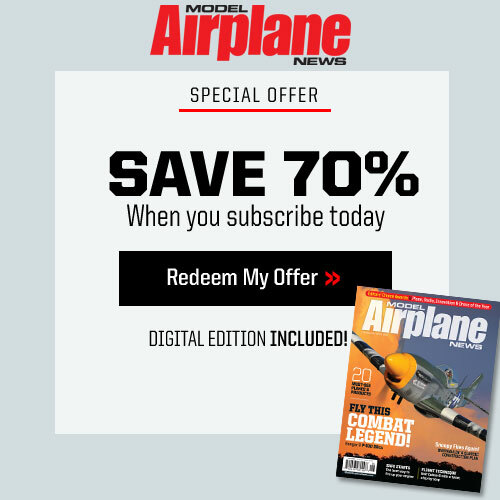 There is a learning curve for sure, but the same principles apply to installing the inner and outer gear doors on most warbirds. 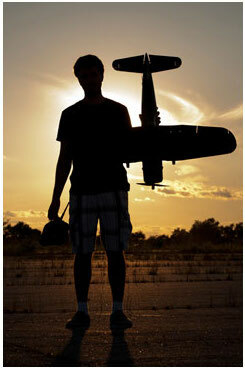 The opening photo credit for the finished P-51D is photographer Nancy Abby. Pics are very good as well. 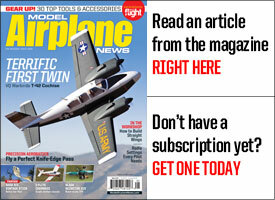 I was given aTop Flite P-51 D and have had nothing but problems trying to adjust the retracts that came with the model. 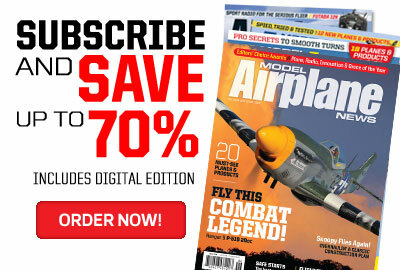 I had a Top Flite AT-6 Texan and Corsair that I installed the retracts that came with the units and had them operating properly within 15 minutes and working flawlessly. 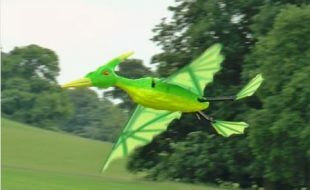 I am at the point of making them locked in the down position just to get it up in the air.